Explore the tallest buildings in the world. Construct your own skyline of buildings. Choose colors, tops, and facades. 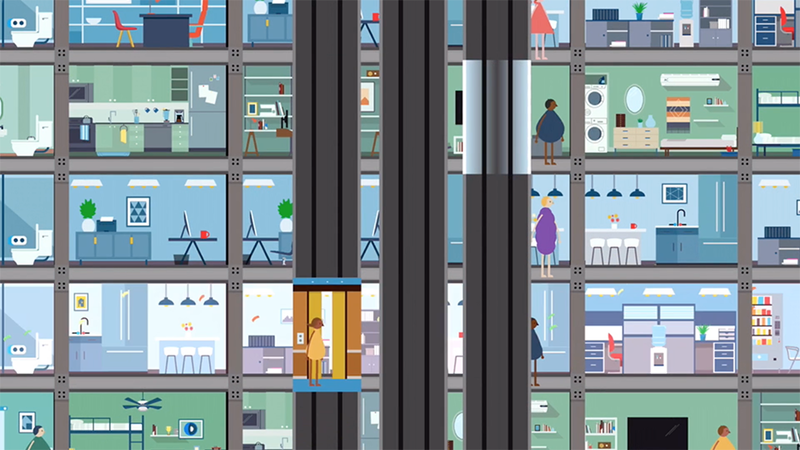 Send people up and down in elevators, into offices, apartments, and rooftops. Spark a blackout or clog the toilet, fix a pipe or put out a fire! Mike Ellis is a Berlin-based illustrator. 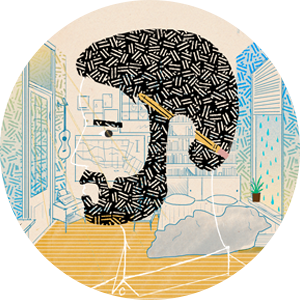 His clients include Herman Miller, The New Yorker, and PayPal. See more of his work on his website. 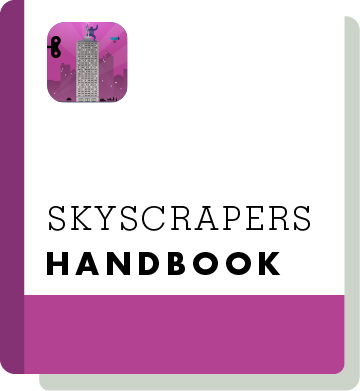 A free, expert-reviewed download, The Skyscrapers Handbook includes fun facts and discussion questions for parents and teachers to support STEM education. Download for free in English, العربية, Deutsch, Español, Français, 日本語, Pусский, and 简体中文.